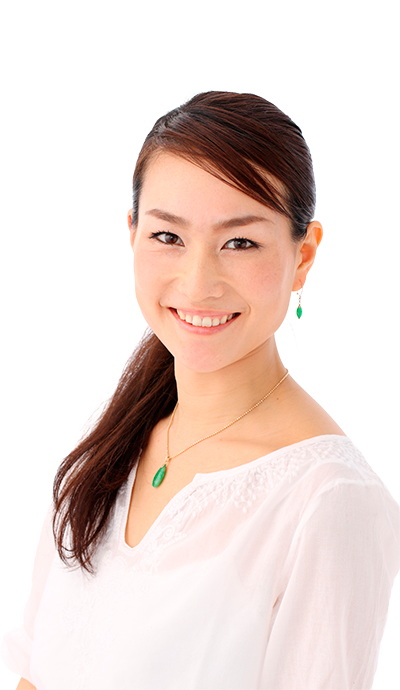 Why Should Dr. Kay Perform My Eyelid Surgery? Age, prolonged sun exposure or genetics can cause the skin surrounding the eyes to sag and droop. Women and men with heavy bags under the eyes and wrinkled or excessive skin around the upper or lower eyelids may be interested in the rejuvenating effects of eyelid surgery. Eyelid surgery, or blepharoplasty in Washington DC, can enhance the appearance of the eyes as well as improve peripheral vision by removing excess skin. 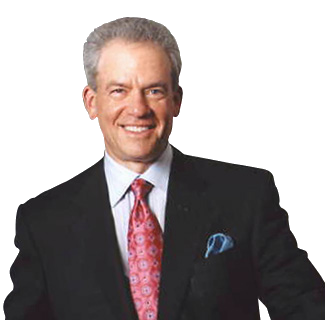 Dr. Stephen Kay is a board certified plastic surgeon serving the Bethesda-Chevy Chase metro area who has helped many patients feel better about their appearance after eyelid surgery. In addition to blepharoplasty, Dr. Kay offers a full range of cosmetic plastic surgery procedures and nonsurgical options for women and men throughout the greater Washington D.C. area and beyond. Please contact us online or call our Chevy Chase plastic surgery practice at 301-951-5120 for more information on eyelid surgery. Dr. Kay’s expertise is in cosmetic and reconstructive eyelid surgery with combining volumetric augmentation to give patients a more youthful appearance. The ideal candidate for eyelid surgery should be in good mental and physical health and have realistic expectations about his or her results. Candidates for eyelid surgery may have excessive, sagging or wrinkled skin around the eyes, creating an old, tired look. Some women and men of Asian descent may also wish to add a crease to the upper eyelids with eyelid surgery. Please visit our before and after photo gallery to see real patient results that are possible after eyelid surgery. The costs associated with eyelid surgery will vary depending on the type of surgical approach Dr. Kay takes and whether additional procedures are performed at the same time. The total charges of eyelid surgery are inclusive of Dr. Kay’s surgical fee, the use of the surgical facility and anesthesiologist fees. Some health care providers cover some or all of the costs of eyelid surgery when the procedure addresses ongoing problems with vision impairment. Dr. Kay and his staff are also happy to discuss cosmetic surgery financing options that can help make your eyelid surgery as affordable as possible. Eyelid surgery can reduce puffiness around the eyes, improve your vision and enhance your appearance. The upper and lower eyelids can be treated as needed, though some patients only require surgery on one or the other. Upper eyelid surgery begins with a discreet incision hidden in the eyelid crease, and removes sagging skin from the upper lids. In lower eyelid surgery, the incision runs along the lash line, through which Dr. Kay can remove fatty tissue contributing to bags below the eyes. In some cases, lower eyelid surgery may use an incision made inside the lower lid instead. Double eyelid surgery adds a crease to Asian eyes. Dr. Kay creates the crease carefully from the existing eyelid so that the epicanthic fold can be removed, uncovering the inner corner of the eye. 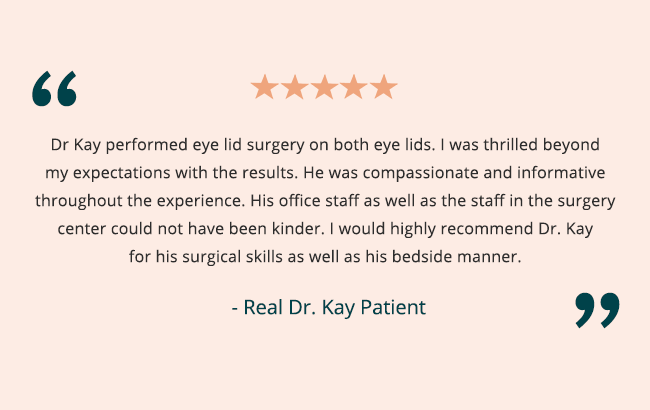 During your consultation, Dr. Kay will discuss your goals for eyelid surgery with you, as well as any concerns you may have. He will also explain in detail the specifics of your surgery and recovery so that you’re fully informed about what to expect. Eyelid surgery can be performed alone, or in combination with a facelift or brow lift. If crow’s feet are a concern for you, Dr. Kay may recommend including BOTOX® with your eyelid surgery as well. A difference in the eye area should be noticeable immediately, though your full results will initially be obscured by some degree of swelling. After the first 48 hours, swelling should decrease substantially, gradually subsiding even more over the next several days. Most patients experience a quick recovery and are able to return to their normal routine after the first week. Following your eyelid surgery, the skin surrounding your eyes should be smoother and subtly lifted, creating a refreshed, more youthful look, while bags under the eyes can be dramatically improved so you look more rested as well. Patients who have undergone double eyelid surgery should see a more rounded eye, without an overly Caucasian appearance. You can learn more about eyelid surgery by clicking here or by visiting Dr. Kay’s page on RealSelf. 1 Why Should Dr. Kay Perform My Eyelid Surgery? 1.1 Is Eyelid Surgery Right for You?